Avendus Capital advises Mswipe on its Series D financing led by UC RNT and Falcon Edge with participation from existing investors. 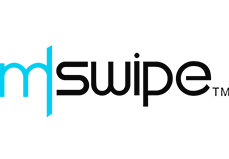 Mswipe Technologies Pvt Ltd has raised a Series D round of $31 million from UC RNT and existing investors Falcon Edge, Matrix Partners and DSG. Axis Bank exited as a part of the transaction. Mswipe, headquartered in Mumbai, has a network of 246,000 terminals across 550 cities in India with annual transaction value above INR 9,000cr. Mswipe provides complete end to end payment ecosystem encompassing merchant management, mobile app, transaction gateway, risk monitoring and settlement. Mswipe primarily targets SMEs without access to any type of POS (Point of Sale) terminals and with turnover in the range of INR 1-5 lakh/ month. The transaction value on the Mswipe network grew 4x while the number of installations grew 3x in the last year. Manish adds that the startup is now looking at developing the next generation Android based smart POS terminals that will offer merchants capabilities like GST compliant billing and inventory management with integrated and seamless payment acceptance, on the same device. “All this, while ensuring the same level of security and trust for the customers,” he says. The Indian government’s demonetization of bank notes in November ‘16 flipped the dynamics of the payment ecosystem by rapidly accelerating the adoption of digital payments in India. Card payments at POS terminals have gone up 32% in the five months following the demonetization with the number of POS machines growing to 1.6x in 6 months. However, with more than 80% of MSMEs without access to digital payments, there exists a large opportunity for MSME focused players like Mswipe with targeted products and services.